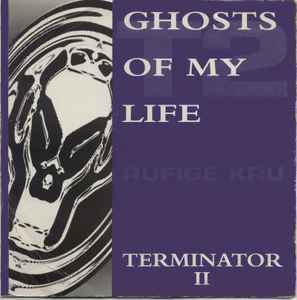 Rufige Kru ‎– Ghosts E.P. Terminator II is "basically" the same as the first Terminator with added synths, a delay on the stabs and the Mentasm sample towards the end gets quite a bit more crazy on Terminator II but the structure is 95% the same. I listened to both tracks side by side and was slightly surprised at how close they are. One of the most important and influencial releases in the early days of jungle/d&b. "You're talking about things I haven't done yet!"